That professional generosity combined with Kyle’s talent, drive, and a Purdue engineering degree, has led him to exceptional professional success. In 2014, he became president and CEO of the 118-year-old Timken Company, a global manufacturer of bearings and related components and assemblies. Years earlier, while studying mechanical engineering at Purdue, Kyle began to acquire and hone the skills that would shape him as a professional. After holding key leadership roles with Hubbell Inc. and Cooper Industries, Kyle joined Timken in 2006 and took on responsibility for the industrial group’s global manufacturing operations as vice president of industrial manufacturing. He also worked closely with supply chain management and the automotive and alloy steel groups. During this period, Timken significantly expanded its manufacturing in the U.S. and also globally by adding operations in China, India and Romania. Before becoming Timken’s CEO, Kyle held a number of key positions at the Timken Company, including chief operating officer. As COO, Kyle ensured that Timken had the proper operational controls, administrative and reporting procedures and people systems in place to enable the company’s growth and guarantee its operating efficiency and financial strength. 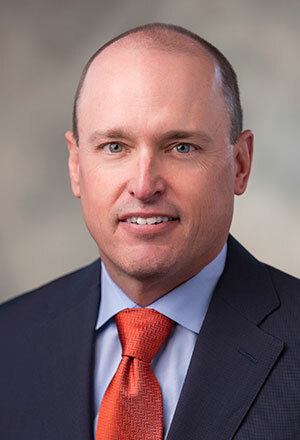 As group president of Timken’s aerospace and steel enterprises from 2010 to 2013, Kyle also was responsible for the enterprise’s innovation, engineering and technology efforts. From 2008 to 2010, he contributed to significant improvements in Timken’s profitability by leading large-scale changes to the company’s mobile industries business. Today, the Timken Company accrues revenue of approximately $3 billion, has an enterprise value of over $4 billion and 14,000 employees operating in 28 countries. Despite a demanding schedule, Kyle is an active member of the John Purdue Club, the Purdue President’s Council and the Purdue Alumni Association. With two decades of high-level professional experience to reflect on, Kyle says he would advise today’s Purdue students not to “get overly precise in your career objectives and the timing. Lose yourself in your profession and your work, and opportunities will arise — probably more than you ever anticipated.